Indie Kaur is a consultant midwife at the Royal London Hospital, and is currently on sabbatical working in Hyderabad, India, at the Fernandez Hospital. This hospital is owned by the inspirational obstetrician, Evita Fernandez, who is working tirelessly to develop professional midwifery programmes in her region. More about Evita, and her campaign, below! We keep in touch with Indie, and recently saw this post on Facebook. 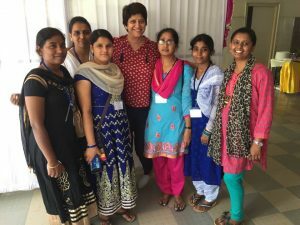 We asked her if I could repost an adapted version of her words here, as we are in awe of the work she is doing, and the ground-breaking progress taking place in India. It is now April in India. I have been here for 3 months now. I must admit I love the sunshine despite this intense heat. All this sun, yet Indian mothers seem to be vitamin D deficient. The weather fluctuates between 33 to 42 C. I am on a journey, which is exciting, as I believe it will be a slice towards influencing professional midwifery services in India. But it is also frustrating. I am a professional midwife with over two decades of experience. However, I am unable to practice in this country due to the complexities and bureaucracy within the government, which by the way does not accept midwifery as a separate unique profession. Accountability within one’s sphere of practice therefore, is not accomplished. It was the 1902 Midwives Act, which introduced training and supervision for midwives in England and Wales, outlawing uncertified and untrained (bona fide) midwives. However this legislation didn’t eliminate traditional birth attendants, as fewer midwives were available in rural areas. After 1910, all women were expected to have a qualified medical practitioner in attendance at the birth of their baby. Uncertified midwives were forbidden to attend women in childbirth without the direction/supervision of a medical practitioner. The newly registered midwives were initially required to have a 3 months training, which increased to six months in 1916 and a year in 1926, with the model of calling the doctor in difficult cases. The proportion of births attended by qualified midwives increased steadily and by 1930’s is almost all practicing midwives had received training and continues to have legislation changed. Today in the UK direct entry midwifery is a three year programme, and for registered general nurses it’s eighteen months. There are some similarities in India today to the 1920’s in the U.K. 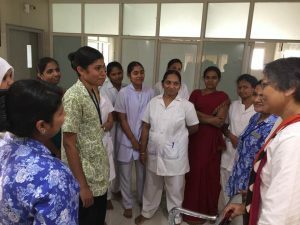 There are traditional birth attendants in rural India, and no professional midwives based on the International Confederation of Midwives (ICM) core standards. In the public institutions where the majority of women give birth, there are masses of vulnerable women, birthing in appalling desensitized environments. There is lack of dignity, respect and there are violations of basic human rights like privacy. They are cared for by health care professionals who are a mix of nurses, unskilled birth attendants (dais) and auxiliary nurses (erroneously called midwives) who lack the knowledge and training. The challenge lies in India urgently recognizing the need for professional midwives. 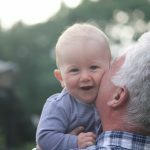 The place in which majority of women give birth in the UK has changed considerably over 100 years; following the Peel Report in 1970 birth went from home, to maternity institutions – hospitals. The Changing Childbirth Report in 1993 suggested that women should have a range of options of place of birth. The philosophy behind birth centres in the U.K is the provision of a safe environment for healthy women to give birth in outside the hospital, where the medical interventionist model dominates. The Birthplace Study in England clearly highlighted that healthy women, who gave birth in a midwifery led unit (MLU) had significantly fewer interventions, including substantially fewer intrapartum caesarean sections. The study also demonstrated that for healthy women, giving birth in a midwifery unit was as safe as hospital, for her and her baby. This gives women choice in place of birth, and allows doctors to focus on medical complications. 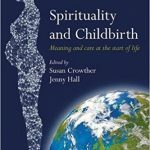 In the UK, MLUs (also called birth centres) continue to be sustained because there is a midwifery profession which is autonomous and accountable, and has been embedded into the healthcare system for more than a hundred years. However, in India, there are some birth centres run by midwives certified from overseas to help a rising tide of women demanding midwifery led support during their birth. Would it not benefit all childbearing women in India, to have a baseline cadre of professional midwives? Why does the government and the Indian Nursing Council not accept midwifery as a separate autonomous profession? I am working in a tertiary referral perinatal center, with over 8000 deliveries per annum, providing clinical leadership to our midwives in the antenatal and intrapartum areas of care. I am lucky to work with a visionary leader Evita Fernandez an obstetrician, who understands the value of professional midwifery and how it can influence maternity care including reducing the mortality and morbidity rates in India. She launched an in-house professional midwifery education and training (PMET) programme in August 2011. Had she waited for bureaucratic approval, we would not have the rich data we have collated over the years of the impact of professional midwifery support on birthing experiences and outcomes. Our professional midwives in Fernandez following our ‘train the trainer workshop’ conducted last year have recently trained health care professionals in the rural districts. We travelled to Nandyal (300 km) in April and four of our midwives trained health care professionals in obstetric emergencies drills of shoulder dystocia, pre-eclampsia, postpartum haemorrhage and neonatal resuscitation. The workshops were well received and the positive feedback from the participants was very encouraging. The medical director of the hospital that hosted this workshop, that very night, had a case of eclampsia, which was dealt with efficiently by the nursing team who had attended the workshop. A mother’s life was saved and long-term morbidity averted. My friends – this is going to change outcomes and indirectly save lives of mothers in India. Recently in Fernandez, the midwives experienced a Lotus Birth, as one of the mothers opted for this experience. The concept of listening to mothers and supporting them through their birth choices was strongly demonstrated with this mother’s request. The mother experienced lots of telephone calls from her family and friends constantly asking if she had had her baby. I was her point of contact and she felt assured with a daily phone conversation. When she came in spontaneous labor the midwife who had helped her birth her first baby was also available. This made the woman more happy and added to her comfort and feeling of safety. The midwives in Fernandez are learning to understand women and “unlearning” the need for repeated vaginal examinations. They are discovering the value of spending time with women, watching and listening while they understand the signs of progress of labour, without a vaginal examination. The mother raised the question of having a vaginal examination. She was comfortable and relaxed when we said ‘No’ and encouraged her to mobilize. She was relieved and had planned a water birth. The lights were dimmed and the clock on the wall turned off. When she relaxed, her contractions picked up after she had her supper and her older child slept. Her waters broke spontaneously, the intensity of her contractions increased, and she was ready to use the birthing pool. The cephalic pole was 2/5th’s palpable on abdominal palpation. She was four cms dilated with a thin well-applied cervix. She entered the pool and as she submerged into the water, she sighed with relief. The room was silent and her husband supported her with fluids. The midwife listened to the fetal heart and was completely in awe. This was a first water birth experience for her and the mother. The environment was surreal and she chanted her mantra, adding a spiritual dimension to her labour. She birthed her baby in water just after midnight. The baby was brought up to her, took his first breath and cuddled up to his mother. Her placenta soon birthed and we kept it with her in a bag rubbed with rock salt and ”tulsi” which is an Indian herb with medicinal effect. This was also very rewarding for me. 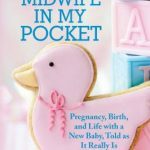 In my role as a consultant midwife in London, I have been steered into a managerial role. This “hands-on” clinical exposure filled me with deep satisfaction. I realized then how much I missed the clinical involvement and the rapport midwives develop with the women they help birth. The road trips in India are exciting. One encounters a variety of challenges- from a mix of good and bad roads, with cows and goats crossing over. Evita and I travelled 575 kms to The Krishna Institute in Karad, Maharashtra. I contributed to the driving under Evita’s beady eye, who in the passenger seat (obviously NOT her favourite position) ensured I learnt the rules of driving in India! I had to endure comments such as “This is India where majority of drivers do not stay in their lanes and do not warn you either when they cross. So watch out and yes- please hoot” The horn was used often enough to warn the driver ahead that I was going to overtake him….and yes, I was also reminded – ”You do not overtake two vehicles at a go”. Despite this, we survived the drive and arrived in the small university town. The hosting team was amazed and impressed that two women drove all the way themselves. We were treated as minor celebrities! On our arrival, we visited the labour and delivery wards. We were impressed with the efforts the team was trying to make, to improve the environment of birth. The workshop on Respectful Maternity Care was initiated under the Safe Motherhood Initiative, a programme spearheaded by the Dean of Nursing Studies. The next day, was spent in a think tank session to discuss practical action plans with time lines. Evita presented on birth experience and Human Rights in Childbirth, which is an urgent need for India. I highlighted the role of a professional midwife and her impact in supporting mothers, advocating and evidence behind positions in labour. The success of this workshop lies with the conviction of Evita as an obstetrician endorsing the need for professional midwifery in India. We complimented each other’s roles. I shared my experience as a professional midwife in the UK, and now in Fernandez working under my sphere of professional accountability. We emphasized the strict need to adhere to the core clinical competencies as endorsed by the ICM. We both shared the challenges of working with a multi-disciplinary team and how it was worth every effort to work with protocols. We emphasized the need for drills and for doctors and nurses to work with respect for each other’s professional roles. All of this is needed if we wish to offer woman centered care in a high volume setting, such as their hospital, which has a 350 delivery rate every month. I am now back in Hyderabad and attended my first Indian wedding. I was fortunate to have a personal dresser within our team with her immaculate dress sense, draped me in my sari. I felt elegant, sophisticated and stood tall at the reception. The hospitality and rich culture is amazing and the work reaps rewards. I can see the change evolving with the team. It is an ongoing journey and the decision to be a role model in India for a year has been the right path for me. I shall keep you posted soon. Dr Evita Fernandez campaign for professional midwives can be found here Professional Midwifery Services PROMISE – please donate to the cause if you feel able. 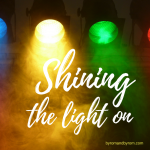 Below is a link to an article by Evita, and an award winning video explaining more about the need for professional midwives.